There are some really lush fruits coming into the greengrocer shops and farmers markets at the moment. 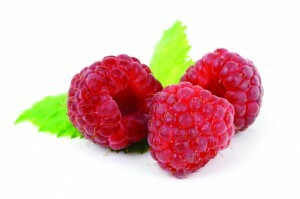 In just the month that we have been living here in Melbourne the price of Raspberries have dropped by nearly 50%. The recipe below is a very simple one. Its not mine but comes actually from a recipe book produced by a former Secretary of State for Education in the UK. Its a shame that it takes MPs who happen to just care to get food education on the agenda when actually it should be every MPs agenda. We certainly know if you have the skills to cook you are more likely to buy the better choices and prepare food from scratch. Anyway have a go at this simple pudding during the forthcoming Summer and enjoy. Here is the link to my interview 52 minutes in on BBC Radio Gloucestershire with Steve Kitchen. Fantastic spending some time at Box Hill this afternoon. 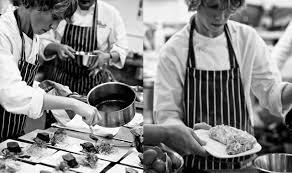 What and exciting TAFE environment that I was lucky to be a guest chef dinner representing the Cotswolds and South West England at back in 2007. Today we brainstormed some ideas based on my UK work and the knowledge Box HIll has of vocational training and its communities. Then we got talking about Lilydale Community Education Precinct. Wow – be fantastic to run the Bistro there and inspire the childrens food activities and offers. What an idea! Kitchen Challenge ( now on TV as Kitchen Impossible) started nearly 7 years ago. In 2011 this short snapshot video was taken of the Forest Food Partnership school group taking part. Enjoy this one. 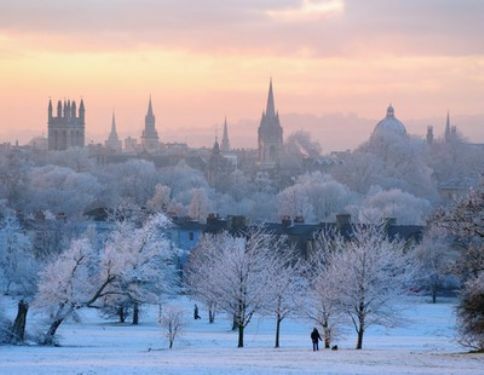 The most amazing time of year is upon us again – just so fast! Stir up Sunday is the traditional day (the last Sunday before the start of Advent) to gather the family in the kitchen and get together to prepare one of the most traditional Christmas delights. A great combination of dried ingredients and fruits all mixed together and slowly cooked ready for the big day. The mixture is stirred from East to West representing the journey of the Three Wise men as they travelled to find the baby Jesus. Upon each stir you make a wish! Below is my recipe that we have utilised for many years and a tradition in the Rees household. Its a pleasure to share with you in Australia this year. 3 cans of Guinness or bottles of Ale or other local beers! Mix all ingredients together in large bowl and allow to soak overnight. Note: when adding the alcohol only add enough to create a mixture that is of dropping consistency, but remember that the dried fruit will soak up some of the liquid overnight so it doesn’t matter too much if the mixture is a little wet. 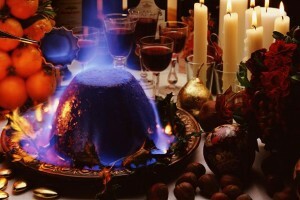 Divide the mixture between 5 buttered pudding basins filling to an inch from the top. Place buttered greaseproof paper cut to fit the top, wrap in either muslin or tin foil and tie ready for steaming. Steam for 10 hours. Re-heat on Christmas day by steaming for a further 5 hours. The key to a dark, moist and rich pudding is in the steaming – the longer you can do it the better it becomes. I was lucky enough today to spend some time with the CEO of one of Australias leading organisations dealing with Youth Mental Health. Its an issue so close to my heart in the UK ,where with a variety of projects and amazing support and partnership from organisations like Barnwood House we have been able to focus on people and community strengths to overcome challenges. The key is to listen to an individual and use strengths to go on and do better and to search out solutions to problems you may well face. 1 in 5 x 15 – 17 year olds in the survey below show they are at risk of a serious mental health issue. Yep that’s huge. Alongside People and Places Gloucestershire and indeed Barnwood and The Wiggly Worm we developed a COGS solution that takes individuals away from being continual consumers of mental health services but into careers and other parts of our lives so many take naturally. 1 in 4 people at some point suffer from mental health issues – you, your friend, your family, your child. Lets make a change and start to talk and listen and do things better. In particular lets not let our young down. Thanks to fab recommendations by Chris Creed from Creed Food Service in Gloucestershire I have found myself since March 2015 taking part in a high level leadership programme. Currently I am 2/3 of the way into it and I have to say I’m finding it awesome. I am inspired by the presenters and indeed the amazing cohort of talented professionals taking part in the same cohort. Its a real privilege to have access and insight into such bright and leading minds. The ongoing network is starting to define and reshape my strategic thinking whilst enriching my desire for social change. 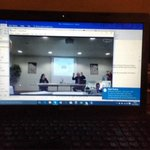 I’m very lucky that they have allowed me to continue the course having moved to Australia and thanks to technology , huge patience from the group and amazing technical and practical support from Rachel last night I took part in my first long distance interactive #LEAD session. More to follow on #LEAD at another time but do check it out and lets see it grow into a global project developing inspiring leaders in every corner of the world. Here is the laptop all set and talking with Brickhampton Golf Course Conference Facility, Gloucestershire. Brussel sprouts are a somewhat divisive food, although most people who claim to hate them have probably been scarred by encounters with horrible overcooked monstrosities in their formative years. When prepared with a little care, sprouts are a wonderfully satisfying vegetable with a delicious, fresh, green flavour and just the right amount of crunch. They can be served simply as a side vegetable (perhaps with some chopped chestnuts or a sprinkling of sesame seeds), added to casseroles or sliced and stir-fried (try them with beef and oyster sauce). Some sources trace sprouts back to ancient China whilst others claim they originated much later and were grown in the area around Brussels in the thirteenth century. It is known that they were not introduced to France and England until late in the eighteenth century. Today they are eaten in N. America and Australia but remain a much more common sight on dining tables in N. Europe, and Britain in particular. Brussels sprouts belong to the Gemmifera group of the cabbage family (Brassica oleracea). The sprouts grow as head buds around a central stem. Cruciferous vegetables – such as sprouts, broccoli and cabbage – are linked with a wide range of health benefits. Brussels are a good source of vitamins A and C, iron, potassium and fibre. BUYING Look for firm, compact sprouts with green unwithered leaves. The base end discolours quickly after harvesting and will often be slightly yellow-brown but should not be dark. Fresh sprouts have no odour or a delicate smell. Those sold on the stalk are likely to stay in better condition for longer. Choose small, evenly-sized sprouts for ease of cooking. 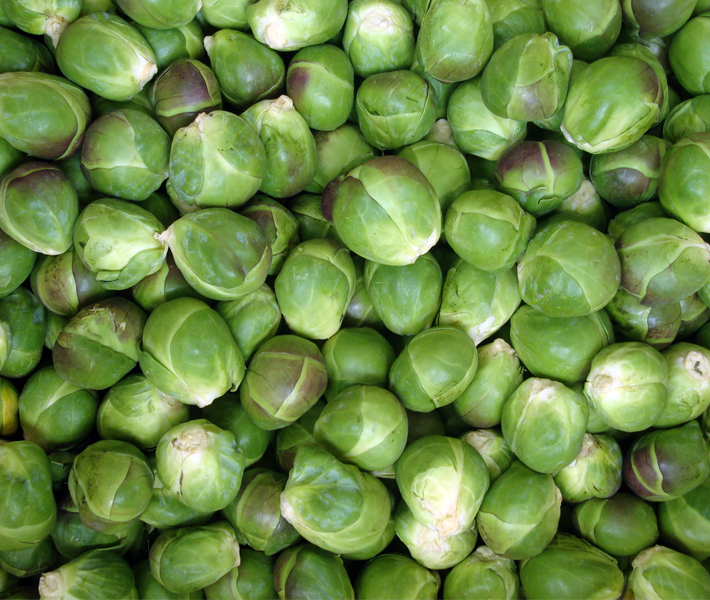 STORING Sprouts should be kept cool at all times and eaten before the leaves discolour or they develop a strong smell. PREPARING Soak in lukewarm water for 10 minutes to draw out any insects in the leaves, then rinse under running water. Trim the ends but not right up to the base or the leaves will fall off during cooking. Remove any tired looking outer leaves. If cooking sprouts whole, cut crosses in the bases around a quarter deep to help the centre cook at the same rate as the surface. Simmer uncovered in an equal volume of salted water (alternatively steam or slice and stir-fry). Overcooked and undercooked sprouts are unpleasant so it’s important to check for doneness by inserting a knife tip into the stem end and removing the sprouts when they’re just tender (typically between 6 and 12 minutes when simmering; the off-putting sulphurous cabbage smell is a sign of overcooking). Drain, return to the hot pan and shake for a few seconds to remove excess water. Serve immediately (the flavour suffers if sprouts are kept warm for long). The Pear is a lovely fruit, delicious served in a sweet dessert such as in the recipe below or as an accompaniment to savoury food, such as strong cheeses. Pears are very similar to Apples in looks and shape; however there are a couple of ways to distinguish them apart. The pear has a grainy textured flesh which is produced by small clusters of lignified cells. Apparently if dropped into a bowl of water a pear will sink where as an apple will float! Pear wood is often used as preferred firewood as it produces a very aromatic smoke ideal for smoking meats and fish. Begin by making the almond filling. Beat the butter and sugar together until light and fluffy. Slowly add the egg whites bit by bit until well combined. Fold in the ground almonds and plain flour. Mix everything together well. Peel the pears, cut in half and remove the core. Arrange the pears in the tart case. Spoon over the almond mix and bake in a pre heated oven (180°C) for about 30 minutes until pears are soft and the almond mix is light golden in colour. Remove from the oven and allow to cool. Dust with icing sugar and serve with some freshly whipped cream. 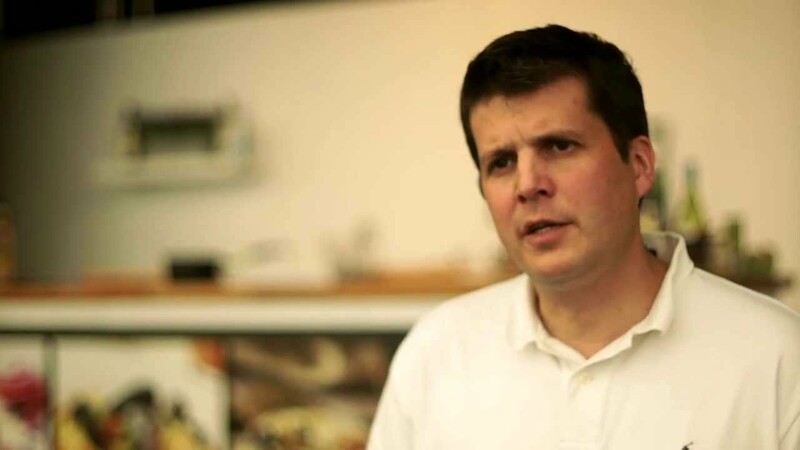 In Cheltenham UK in 2012 I gave a TEDx talk that linked food to communications and connectivity. Have a view and see what you think….